More than fifty years of scientific and industrial developments focused on the amino acid producer bacterium Corynebacterium glutamicum has successfully yielded up to 2.93 and 1.95 million tons/year of L glutamic acid and L-lysine, respectively. As a result of this biotechnological effort, a massive amount of knowledge decidedly applicable to the development of new products has been gained. Nowadays, this knowledge is used to enlarge the portfolio of C. glutamicum industrial products, since they are highly relevant as chemicals, biodegradable polymers, ingredients, or additives in food, feed, cosmetics and pharmaceuticals. This book addresses production of these new metabolites (C. glutamicum applications) and their potential under the expert point of view of those groups directly involved in their developments. Thus, amino acids out of the traditional glutamic acid or lysine, as L valine; food colorants such as carotenoids; dicarboxylic acids used as building blocks (e.g: succinate); alpha hydroxy acids as L lactate, D lactate or glycolate; biodegradable polyester (eg. : polyhydroxybutyrate); alcohols for biofuel as isobutanol as well as bioremediation applications of the new developments around C. glutamicum described in this book. Those industrial relevant compounds come to the market parallel with the developing application of new technologies. Hence, cell activity as a whole by means of the Proteomics or Transcriptomics approaches, as well as the methodologies that mimic the large fermetor conditions in a scale-down format are also reviewed in the book. Additionally, a historical description and an updated review of the taxonomical environment of Corynebacterium genus open an essential manual for enterprises, researchers and academia involved in Actinobacteria, secondary metabolite production and industrial applications. 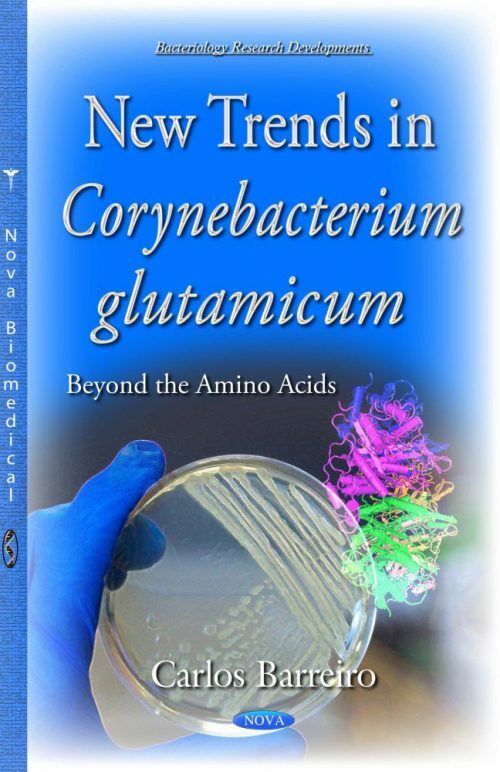 This book reviews the evolution of almost sixty years of development, initially focused on amino acid production, which unleashes the idea of C. glutamicum as a biorefinery due to its ability to generate hundreds of products demanded by the market.